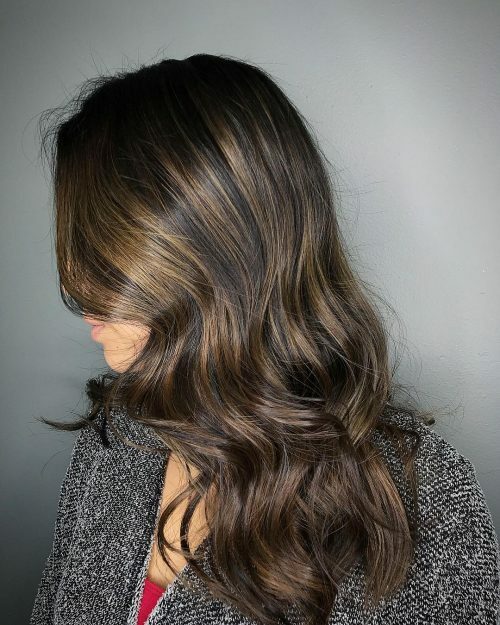 A balayage brown hair color features dimensional highlights hand-painted all over a brunette mane for a healthy, voluminous, and surprisingly low maintenance look. 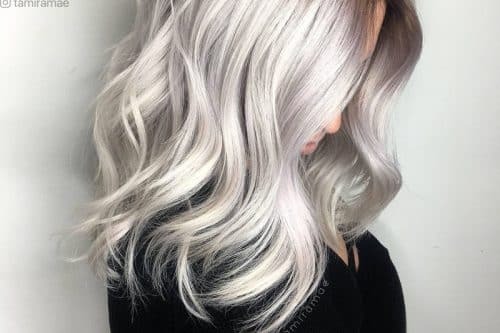 It’s a famous highlighting technique because of how it creates an awesomely natural and multi-tonal look on any hair. Balayage hair color is perfect for adding extra color to your current hairstyle. Believe me when I say that this style is so versatile! You can choose from warm and creamy vanilla blonde streaks that give a fresh and light sun-kissed effect to bright pops of rich caramel or mahogany hues that offer stunning contrasts. Deciding whether you want to go soft or vibrant, bronzed or muted – the possibilities are never-ending. Plus, it doesn’t matter what type of hair texture you have! 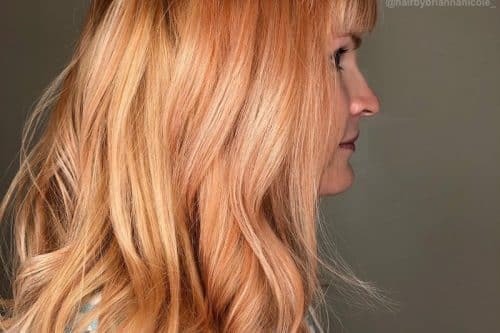 This color melt technique works amazingly on all kinds of hair. It’s also perfect for brunettes who want to keep their natural shade, yet crave a new, refreshing look that does’t require high upkeep. 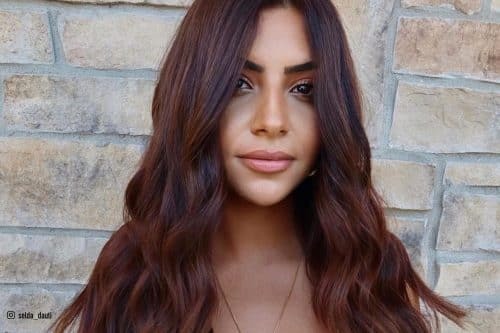 Here’s a collection of some of the best brown balayage hair colors to welcome you to the world of the sexiest hair dyeing style this season! 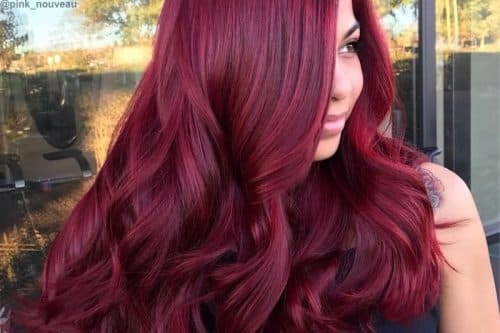 Give your brunette locks a sexier vibe by getting some ruby undertones. 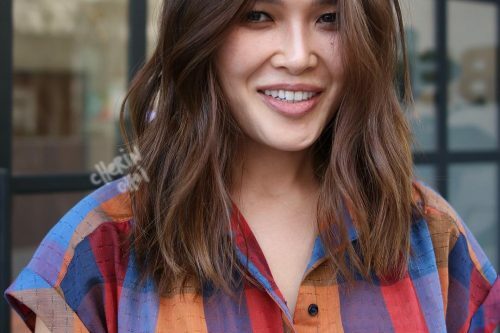 It’s also one adorable way to spice up a layered straight mid-length cut like this. Brown balayage offers a variety of beautiful shades to compliment any skin tone. 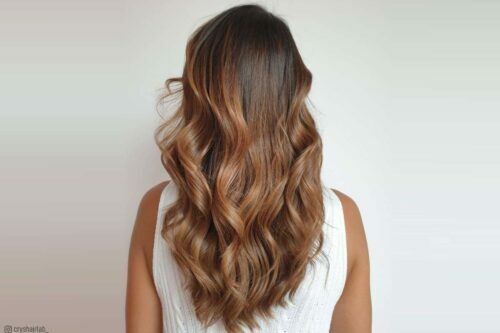 We feature this super envy-inducing bouncy curls with vanilla swirled all over! The multi-tones create an adorable gradient that gives the hair more life and movement. Balayage highlights are great additions to any hairstyle. This is an impressive and easy style to recreate if you wanna make your hair appear a bit natural but also rich at the same time. The combination of reddish undertones and the natural dark chocolate base complements her warm complexion gorgeously. Keep it simple yet interesting with these perfectly placed auburn streaks that can create depth all over your hair! Notice how it can also amazingly brighten warm to tan skin. Saturate your straight mid-length hair with vivid coppery streaks that will brighten you up! The layering and the beautiful long side fringe complete the whole style by making it dimensional. We’re loving this super sweet chocolate mane streaked with vanilla all over it for added dimension and movement! A perfect combination to spice up your natural brunette hair! The look is a deep brunette color with caramel and toffee balayaged highlights and styled in soft beachy waves. I love the richness of the color. 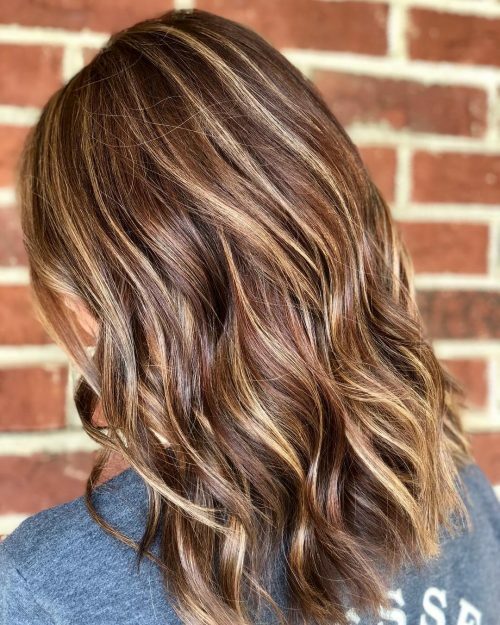 Adding highlights with a balayage technique is a great way to add multi-tones to your hair while keeping it lower maintenance. You can go longer between touch-ups than with traditional highlights. 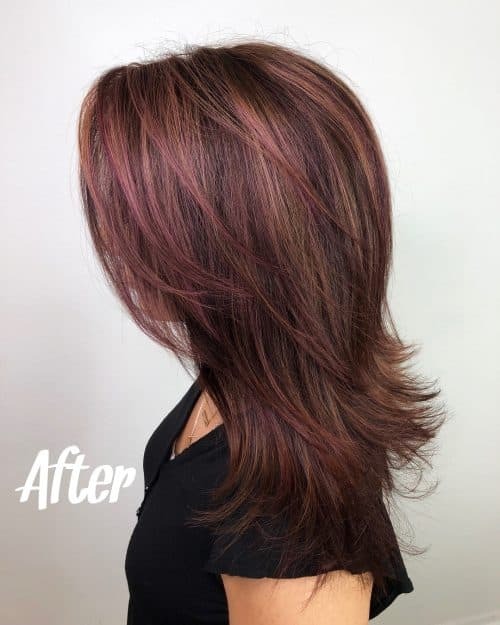 This is a multidimensional pink balayage that is subtle and very approachable. I love how soft the tones are versus a vivid balayage. This is much more ‘natural’ looking. 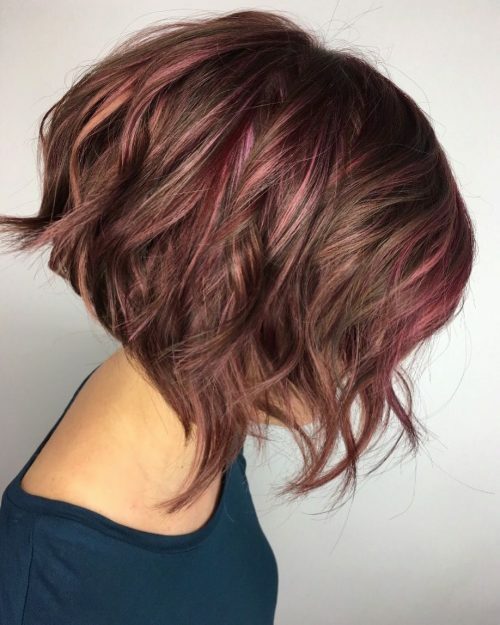 I love bobs, and this angled textured bob is perfect for a person with thick hair, who wants to try a shorter look (in fact, I’ve undercut her nape). 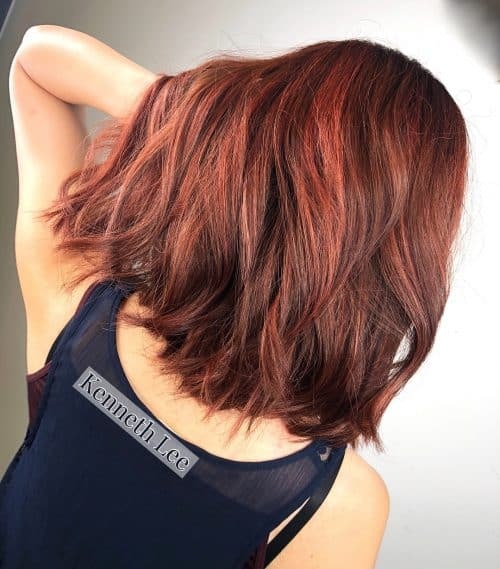 This bayalage hair color is perfect for that client who wants to try some fashion colors but not vivids. This is a high lift pink and a lightener (toned all over with a Demi oxidative pink toner). It’ll fade softly and have little to no commitment to keep up. I’d like to think anyone could wear this, as it’s cool and warm and very approachable. All hair types can wear this bob. Lightly layer for thicker hair and finish with a quick flat iron wave for a tousled look. This look as a mid-length tousled textured lob. I love this look for anybody wanting to have a modern straight edge style that’s great to wear straight or wavy. Keeping the layers textured helps to eliminate bulky areas especially for this naturally curly haired client. It’s great for people who are looking for low maintenance. 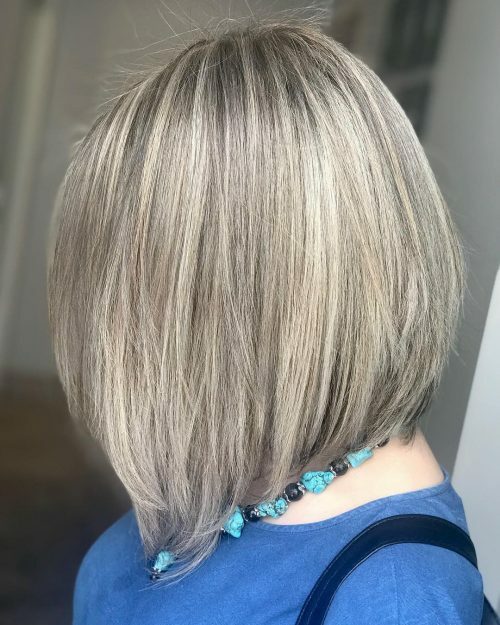 If they want to transition from not going into the salon so often with getting foil highlights, it’ll help them to want a shadowed brown root with balayage on the ends, creating a harmonious perfect blend. This will allow not seeing any solid lines in the grow out stage, and that in turn will save them money and time! This is a mixture of multiple color techniques. I actually balayaged, babylighted, and melted warm brunette, red, and blonde tones. 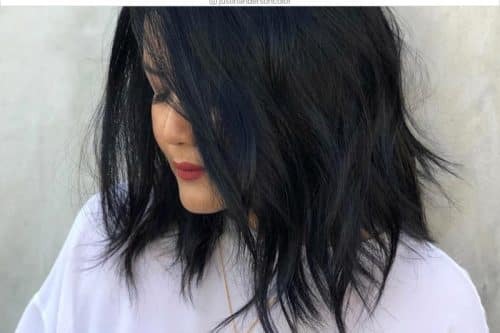 The best thing about it is that it is actually a pretty low maintenance color since we blended the roots, and it will only require a color touch-up and glaze for maintenance. 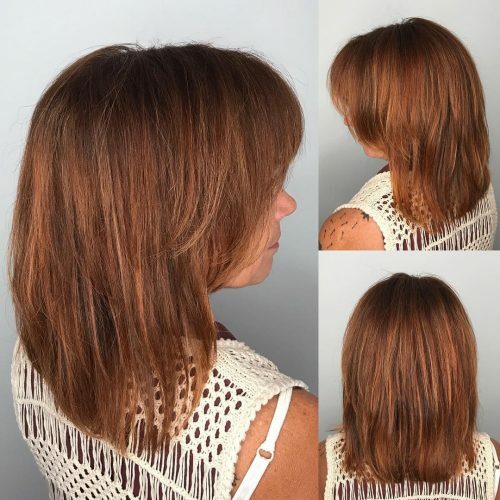 While this is a low maintenance bayalage hair color, it may require a lengthy visit with your stylist upon your first session depending on your current hair color and health. Also, it’s crucial to use a sulfate-free shampoo and conditioner to maintain the vibrancy of the colors. My personal favorite is Redken Color Magnetics. I think, as a stylist, we hear a lot of clients say they want to see no “warmth” in their hair. Which is totally fine, however, I think warm golden tones can be so complimentary and beautiful. 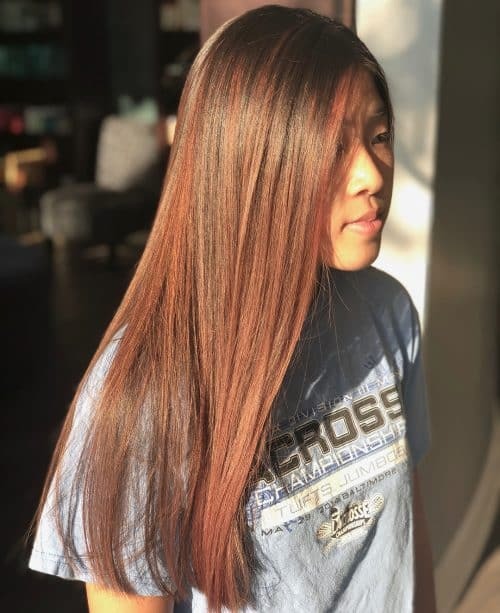 What I love most about this balayage hair color is that this specific client embraces that her hair naturally has more warmth to it. This allowed for me to really just enhance what her hair naturally wanted to do with a traditional balayage. We started with a grey coverage root touch up. I try to keep my base as close to her natural coloring as possible so that her regrowth grows out gracefully. I then balayage wide planks to keep some of her existing dimension in place while giving her an overall brighter look. I think her hair cut just complements her coloring so much, giving the color more texture and movement! I always finish my clients off with a little texture spray. Right now I am loving Davine’s dry texture spray, and it’s one of my go-to products. This look is perfect for clients who love a more lived-in look and don’t mind embracing a more golden blonde. For this look, I did ash blonde babylights and a root melt to remove any harsh lines within her roots. 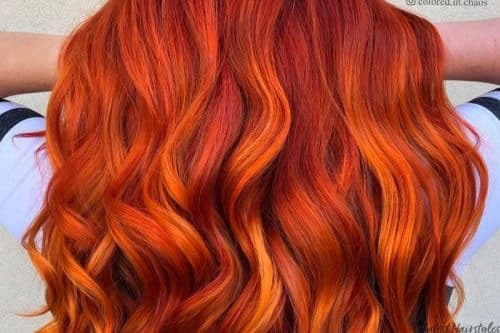 I love how the colors melt together and create dimension within her hair. I trimmed her and reshaped her as far as the haircut. I styled it looking sleek to show the variation of the colors. Really know if this tone of color suits you. This color is not the easiest to keep up with and will need at-home treatments to keep it maintained. They would need to keep their hair hydrated and moisturized to ensure that their hair remains healthy. It’s a fun color that anyone could pull off. Cool tones, in general, go well with mostly anyone. 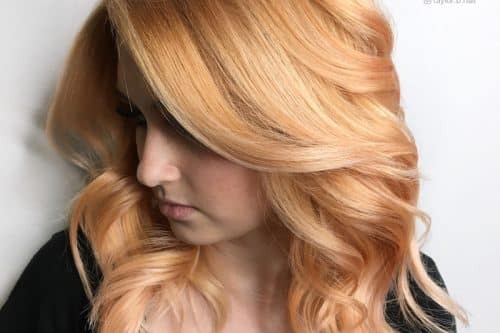 I’m obsessed with high contrast and depth in this warm color combination, as it gives so much more healthy reflection to the hair having gold pigments in your color mixture. We used Goldwell Colorance to create these shined up tones. Her sharp angular haircut incorporating a hidden undercut gives her head shape a more symmetrical balance. 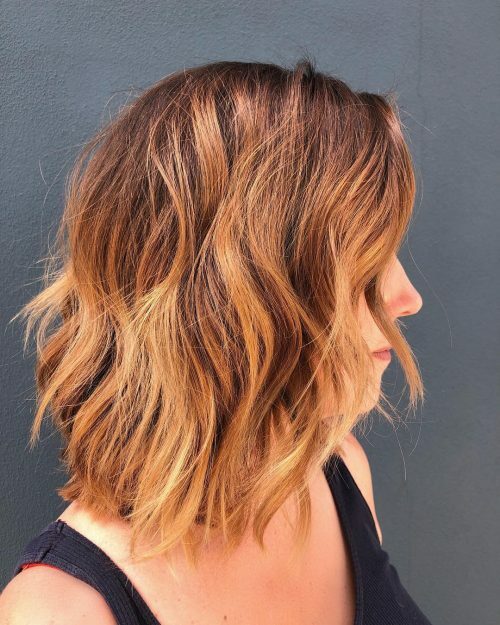 When clients ask me for a balayage, I make sure to first figure out what they are willing to do at home to create the whole look of their inspo. 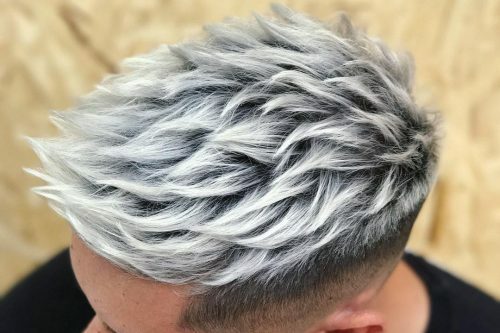 If you aren’t willing to put forth some wave work (like a majority of the inspo pictures out there), don’t expect to get this result more than just the day you left the stylist chair. The color maintenance and final look are low, but ultimately the styling to get there is not. This is a light chocolate brown with caramel balayage, creating a beautiful bronde color for fall. I love the mixture of different warm tones and layers in the hair. This creates movement and depth that I love. It’s a great transitional color coming out of the summer. This look works for many women who like to wear their hair long. The cut works best for average to thick haired clients. It’s fairly easy to style but definitely not a wash and go style. To get the natural looking wave, we used a smoothing heat protective cream to blow dry, then followed with some Oribe dry thick spray to add texture. Then I used a curling wand alternating curls away and toward the face. The final step is to spray with a light hairspray and comb through with a wide tooth comb. This is how I always create a perfect waved style that looks effortless. To me, the best part about the change of season is the opportunity to change your hair color. This look was so much fun to do! 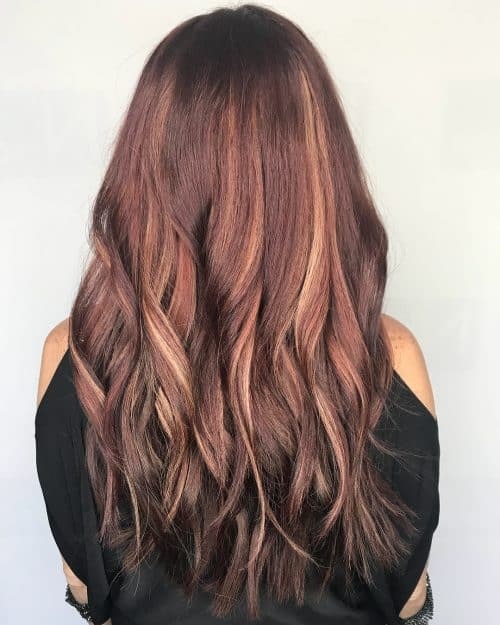 This is a gorgeous burgundy color with toned highlights. The best thing about this look is how versatile the color placement is. Even though this pictured look is a loose curl, my model actually has naturally curly hair which goes to show how amazing this color placement is! 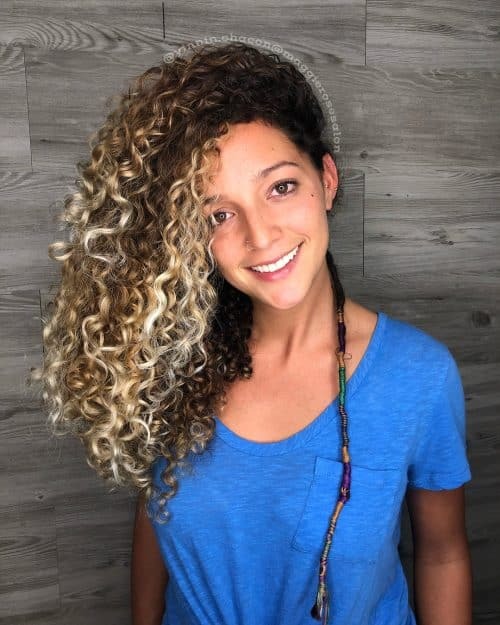 Heavier slices of blonde are great on curly haired guests because the slices of blonde can really spread throughout the hair when worn naturally. I used a veil of color at the top of the head which also makes this color placement extremely low maintenance. By using a veil, my guest doesn’t have to worry about a heavy blonde line of demarcation, which is perfect for anyone with a busy schedule. The slices of blonde can vary in size – larger slices for curly hair, and thinner slices for more fine haired guests. I love curling hair with a larger barrel curling iron. I used the Paul Mitchell Pro Express Ion Curl XL 1 1/2″ for this look. Because my guest has naturally curly hair, I actually straightened her base first and then finished it off with my curling iron and of course, Beach Spray from Seven. It’s super important for me to use thermal protection on all my guests. I love using Kenra Blow Dry Spray before I blow dry. It offers heat protection up to 420 degrees, and smells like heaven! I also love using Paul Mitchell’s Neuro Prime before blow drying, especially when I want more memory to my style, and Neuro Protect before any ironwork. This product line focuses on smooth and protected, shiny hair. This look is perfect for everyone! The veil makes it easier to get your color touched up every 6-8 weeks. And the style is an effortless curl that works well for all our powerful businesswomen and our amazing stay at home moms, and everyone in between. 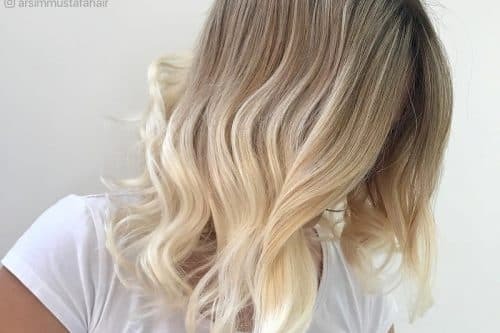 I’d highly recommend this color placement for people who are new to highlighting their hair as well, especially if they need a low maintenance color placement. 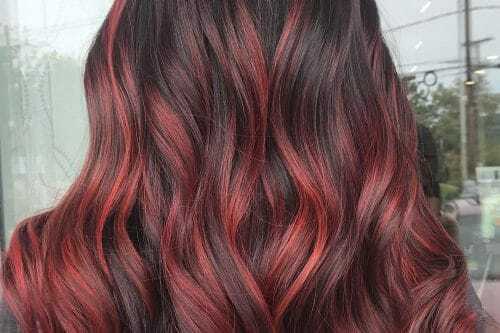 This is a nice fall balayage! It has nice subtle pops of brightness that helps pull all the warm colored tones together. 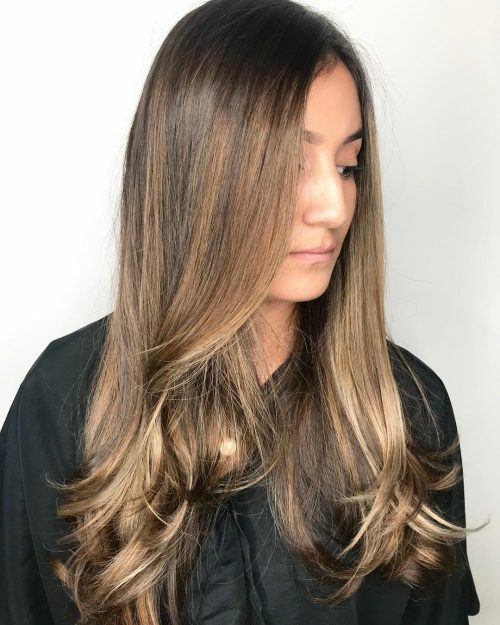 This balayage is great for having a nice rich color, but still having a nice soft dimension with a little pop of brightness!. This is great if you are low maintenance and can’t get to the salon often! 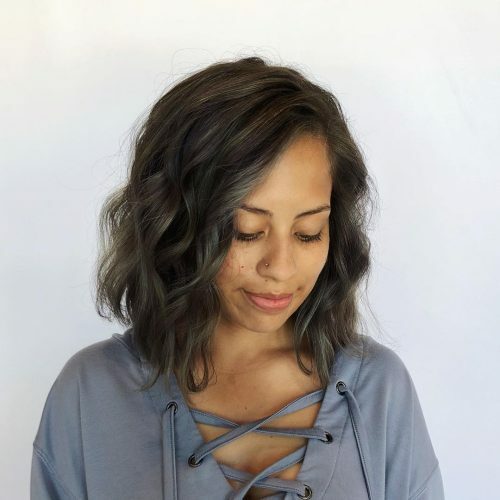 This grey balayage adds a cool dimension to her hair. I cut and angled the lob with soft blended layers. I love this length and color because it looks good waved, curled, natural, or straight. You have to maintain the color with special shampoo and conditioner to keep the grey tone or come in 3-4 weeks for a refresh on the color. Grey isn’t for everyone but when it goes with your skin tone, rock it. It gives your look a little bit of edge. As for the haircut, I find this length flatters a lot of women because it elongates and slims the face or softens square jawlines. You can definitely pull it back and can style with versatility. I find that my clients with naturally wavy hair really like this length and shape for haircuts. 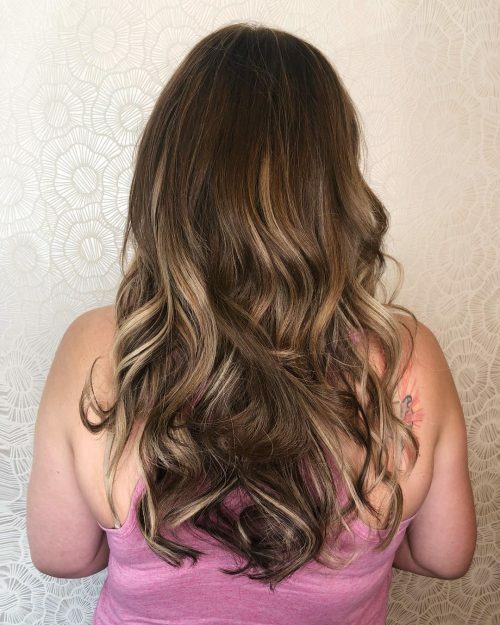 The greatest thing about this look is the seamless blonde highlight placement I did to ensure beautiful grow out and easy maintenance for the busy client. The golden tone adds warmth to her skin tone and also coordinates well with her natural color. 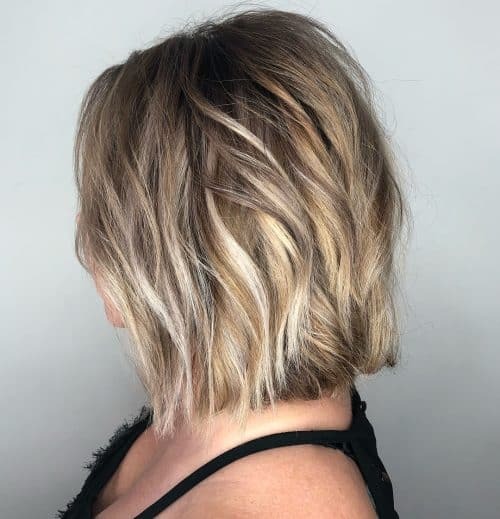 I kept the cut clean and simple with some soft layering to add movement and shape to keep her long hair looking healthy and styled whether she wants to let it air dry or use hot tools for a more classic look. 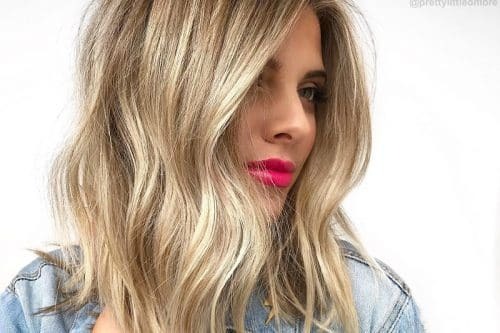 This is a great look for that client who has a busy schedule and wants something to accent their natural color without committing to a high maintenance color regime. 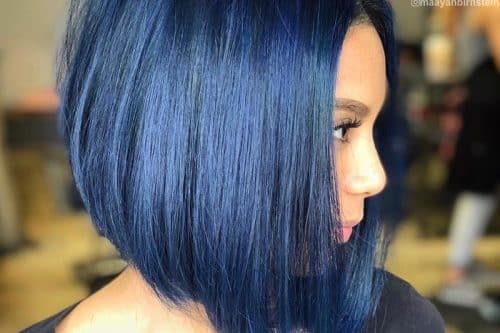 This type of cutting technique is so versatile because it can be created on long, short, and even curly hairstyles. It keeps the hair more manageable on the mids and ends without over layering and possibly creating more work for the client at home. It also helps remove unwanted bulk without going in with a thinning shear and potentially creating a not so great grow out. This look is a “Beige-toned Bronde Balayage”. To create this look I chose to give my client a balayaged style highlight, working off of her natural base hair color. 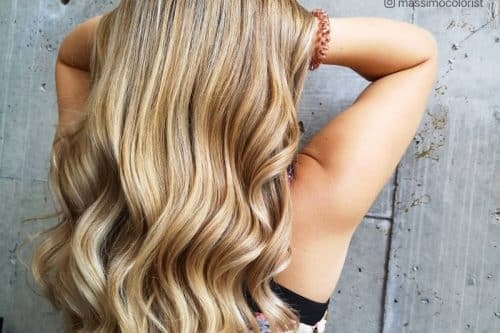 This highlighting technique helps to create a naturally gradient highlight that seamlessly transitions from her natural level 4 brunette hair into a beige toned brighter blonde end. 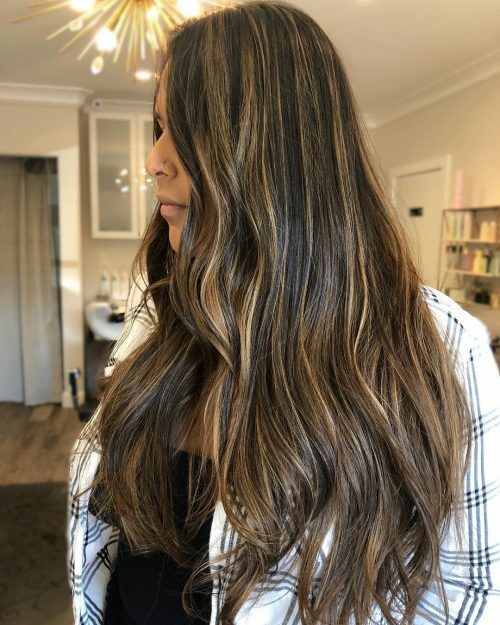 There are many benefits of having a “bronde” balayage. One of my favorite things about this look is the naturally effortless feel of the completed style. I think that the dimensional highlights in the mid-lengths and ends of the hair help to keep her looking more “naturally sun-kissed” rather than appearing to be obviously chemically processed. Personally, I feel that when we emulate an enhancement of a natural highlight in the hair. It gives a very timeless and classic look. Ageless hair is always on trend. This look is perfect for the client who doesn’t want too much in salon maintenance. Considering that the natural base allows the client a larger time frame to come back in for touch-ups, her maintenance regimen at home is key. I recommend the use of a professional salon brand blonde maintenance shampoo and conditioner/treatment at home. My favorite is Kevin Murphy Blonde.Angel wash and treatment. This helps to keep unwanted brassy pigments from appearing in the hair, as well as adds shine and strengthening benefits to the blonde processed ends. 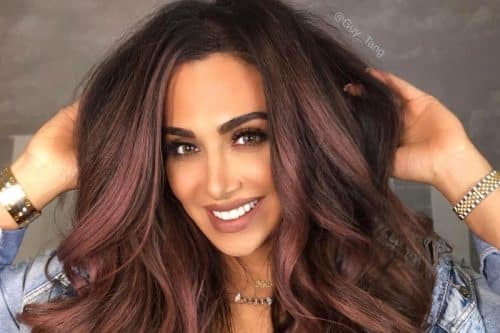 Healthiest hair is the prettiest hair no matter what color, so proper at home maintenance is a major factor in keeping the highlights looking their best. The best thing about this balayage is that it is super low maintenance especially the darker shades. The only upkeep necessary is a toner refresh every 6-8 weeks as part of their root touch up, keeping costs low for the average person. Another reason why I like it so much is that it just goes so well with her natural base color which is approximately a level 3 & 4. 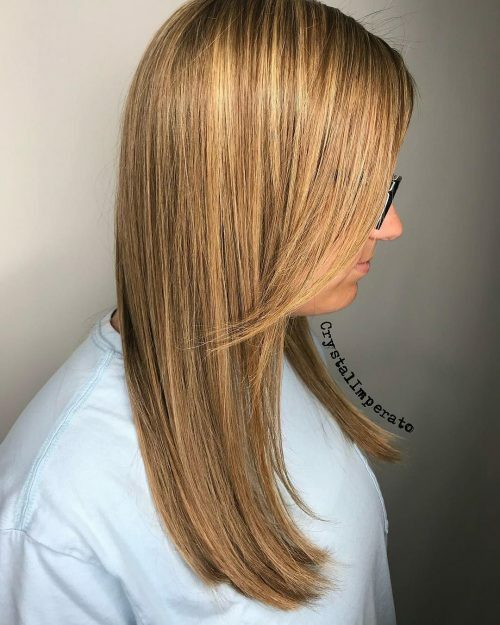 I used Joico Blonde Life Lightener + 30 Volume and lightened her up to a Level 7 and toned with Joico Vero K-Pak Colour 7B + 7N + CCV + VeroGlaze & then glazed with Joico Lumishine Liquid Demi 7NV + 5 Volume for about 7 Min to give it that extra shine and healthy look. 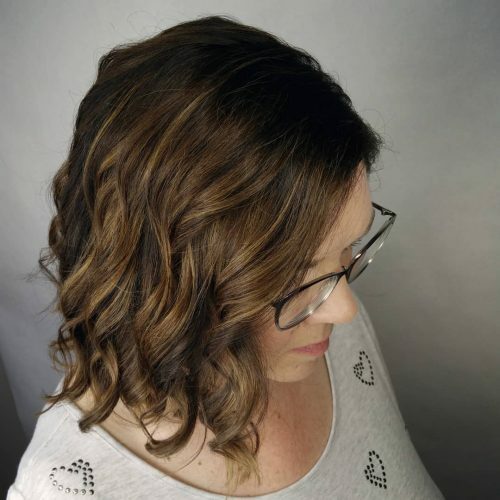 We styled it with Joico Smoothing Balm and Blonde Life Brilliant Glow Brightening Oil round brushed into the hair and then finished off with flat iron curls loosely combed out for that worn beachy texture. It’s for someone who is low maintenance but wants to add that fun back into their hair without commitment. It easily grows out but still looks good straight and curly through the grow out process. Ideally, this color works well on anyone with long and medium length hair. 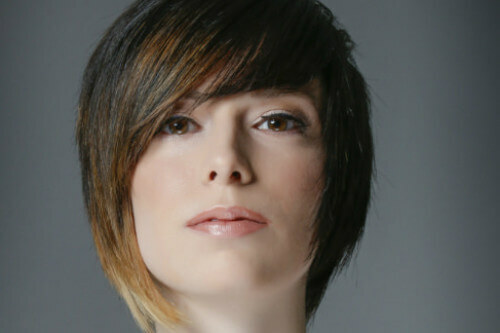 It’s all about adding texture with color and bringing the life back to lifeless hair.